We can provide a tailor-made package for your school’s Gold DofE expedition. The Gold Award is the highest level and offers an exciting and challenging opportunity for pupils to gain a wide variety of skills from advanced navigational skills, efficient camp-craft skills and highly developed group skills. 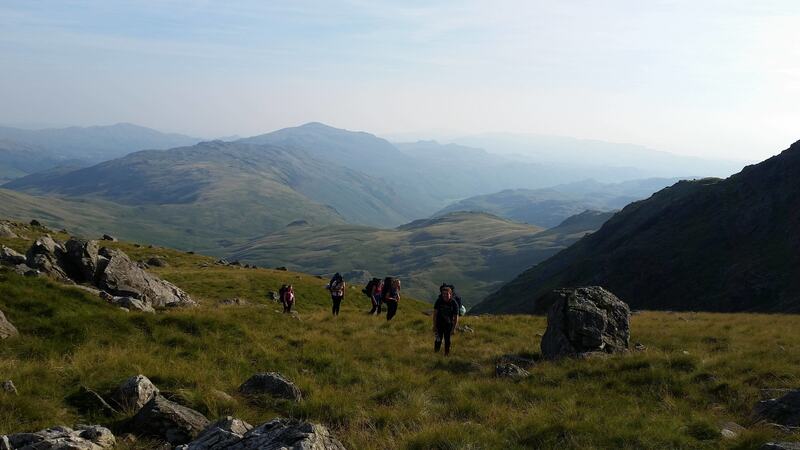 Our highly experienced and qualified instructors will ensure that your pupils are supported and trained to meet the demands of a self supported 4 day expedition. We also recommend that they experience at least one wild camp and we will teach them to do this ensuring they are environmentally aware and respectful. We will ensure close communication between your DofE Award Manager in school and us, so that the individual needs of your school and pupils are met, as well as complying with the 20 conditions of the DofE Award. We will take responsibility for the safety of your pupils whilst on the hills and deliver excellent training that meets the needs of every group. If you do not need the whole package for your school but just require some support then we can assist you. Just email us with your requirements. A 4 hour session to help the group plan their route for their practice including menu planning and discussion on kit. A refresher of the award, with one instructor per group. 4 days walking, with 3 nights camping (one of which will be a wildcamp). Each group will have an instructor with them to extend their navigational skills, help ensure they are working effectively together as a team and able to look after themselves and their kit effectively in all weathers and conditions. A 3-4 hour session to help the group plan their route for their qualifier including a review of all aspects of the practice expedition. We always have 1 Course Director per expedition who is responsible for the running of the course.